Cymbals 16,17 and 15 A & B (below) are being sold as a set. The set includes a letter from Zildjian to Elvin Jones. Cymbal Set- $2,995.00, Serious offers considered. Hand selected for Elvin Jones by Zildjian product specialist John King. 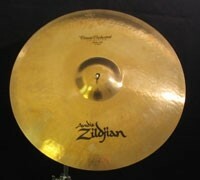 The Armand Zildjian signature is stamped on the bottom of the cymbal and was made in 1997. Hand selected for Elvin Jones by Zildjian product specialist John King. 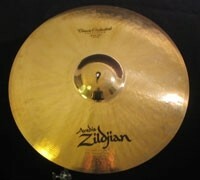 The Armand Zildjian signature is stamped on the bottom of the cymbal and was made in 1997. This cymbal was originally 22″ but it was cut down to be a 21″ cymbal per Elvin Jones request. Hand selected for Elvin Jones by Zildjian product specialist John King. The cymbals are both labeled Top Hi Hat. Elvin requested that one of the cymbals be thinned down to a lighter weight to be used as a pair. 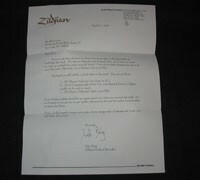 Color copy of letter written to Elvin Jones on March 11, 1999 by Zildjian Product Specialist John King. It is typed on official Zildjian letterhead paper and describes the cymbals Elvin requested from Zildjian.